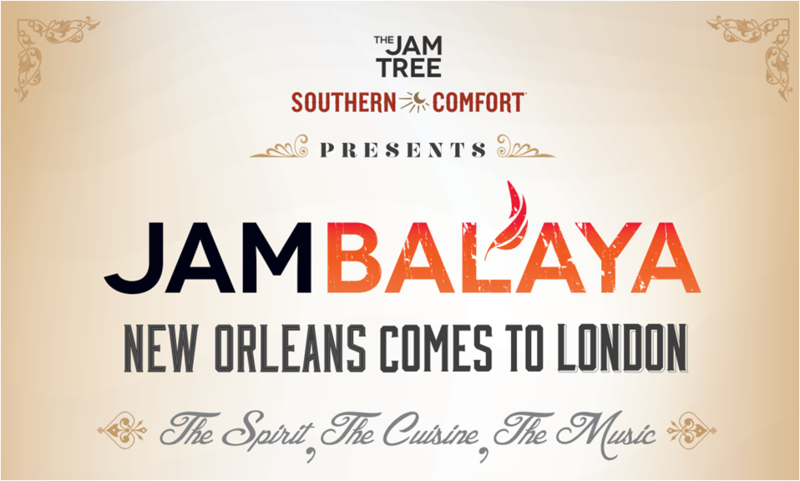 The Jam Tree and Southern Comfort are bring the taste, spirit, music, and spirits of New Orleans to The Jam Tree's restaurants in Clapham and Chelsea for the second half of April. No pre-sold tickets for this - contact the restaurant to book. "New Orleans has always been renowned for its vibrant street parties, distinctive Creole food, and iconic jazz music. Its people have joie de vivre and thirst for revelry, shown in the aftermath of Hurricane Katrina and every year, when the city comes together to embrace Mardi Gras. 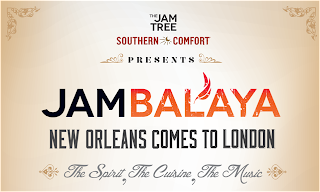 Jambalaya is an exciting concept that is set to bring a slice of that spirit of New Orleans to London in April 2013 for an inaugural annual pop-up. New Orleans is world-famous for its indigenous cuisine that has developed from centuries of local Creole, haute Creole, and New Orleans French cuisines. The Jam Tree's Executive Chef James Browne has travelled throughout New Orleans and is bringing back that unique flavour to London. The main star of this exciting pop up will be New Orleans' signature dish, Jambalaya. Browne has brought back three versions of this dish and they are available for 2 or 4 people, or for groups of 8-10, the whole pan is served straight to the table. New Orleans, Louisiana is especially known for its strong association with jazz music, universally considered to be the birthplace of the genre. New Orleans has also been a prominent centre of funk, which will feature heavily at Jambalaya. The Jam Tree’s music consultants, Music Concierge, have used their considerable expertise to painstakingly put together the soundtrack for the whole fortnight."